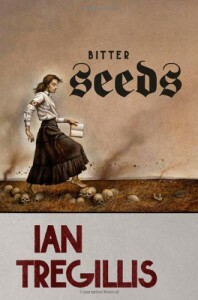 Ian Tregillis’ Bitter Seeds is an alternate history where the Nazi’s have trained up a group of technologically enhanced psychics (a perverted Fantastic Four), and the desperate British have resorted to consorting with omniscient beings who would like nothing better than to wipe the stain of biological life from the Earth (a la Lovecraft’s Elder Gods) in an attempt to defeat them. Raybould Marsh: Rescued from the slums of post-WW I London by Stephenson, the future head of Britain’s MI6 and later Project Milkweed, Marsh grows up to become an ersatz son to Stephenson and his right-hand man. Will Beauclerk: Will is the second son of the duke of Aelred and the reluctant apprentice of his grandfather, a warlock, someone who traffics with the Eidolons. He and Marsh meet at college, and it’s Marsh’s knowledge that Will knows about esoteric matters that brings the two together years later when evidence emerges about the Germans’ activities. The British side of the story is told from both Will’s and Marsh’s POVs. Dr. von Westarp: If we’re to continue with the Fantastic Four analogy, then Dr. von Westarp is a very perverted Reed Richards, the sociopathic mad scientist who first begins experimenting on war orphans after the First World War. Klaus: Aside from the pathological Nazi indoctrination and virulent German nationalism that warps his perceptions, Klaus is a reasonably decent enough young man with the ability (enabled by Dr. von Westarp’s technology) to dematerialize (a la Kitty Pryde, which takes us into X-Men territory). The German side of the story is told exclusively from his POV. The adults haggled. The driver saw the girl step behind the doctor to give the towheaded boy a quick shove. He stumbled in the mud. The impact unleashed another volley of coughs and spasms. He rested on all fours, spittle trailing from his lips. “I’ll pay you for the other two, but not this one,” said the doctor. “I’m not wasting my time on him.” He waved the workman over from the field. The tall man joined the adults and children with long loping strides. The workman put his hand on the sickly child’s shoulder and led him away. They disappeared behind a shed…. Clang. A sharp noise rang out from behind the shed, like the blade of a shovel hitting something hard, followed by the softer bump-slump as of a grain sack dropping into soft earth. A storm of black wings slapped the air as a flock of ravens took for the sky. The other members of Dr. von Westarp’s Götterelektrongruppe are Reinhardt (The Human Torch); Heike (The Invisible Girl); Kammler (The Thing); and the Twins, two mute girls who can feel and communicate with each other over any distance. All of them can only manifest their powers when hooked up to batteries that enable their Willenskräfte. The Eidolons: As I wrote above, the Eidolons are omniscient, omnipotent, omnipresent beings who feel nothing but loathing for the human insects that infect the universe and would like nothing better than to wipe us all out. They’re prevented from doing this because they can’t perceive us without some mitigating factor – in this case, blood. For centuries, human warlocks have cautiously dealt with them but the more the Eidolons’ powers are called upon, the greater the price they demand. The first time Will calls them up, they demand his finger as the price; by the time the British use them against the Germans, they are demanding the deaths of dozens. So far the two strengths of the series are the characters of Will and Gretel. I think Tregillis is doing a fine job tracking Will’s accelerating mental deterioration as he’s called upon to do things that make him no better than Dr. von Westarp and the Nazis. And Gretel reminds me of no one so much as Penelope Bailey from Mike Resnick’s Soothsayer et al. books. In that series, Penelope is a young girl who can alter the course of the future by her actions, and the one person who truly cares for her is the one man who’s also determined to kill her, despite the fact that she can anticipate his every action. Another series Bitter Seeds reminds me of is A.A. Attanasio’s take on the Arthur legend, beginning with The Dragon and the Unicorn. 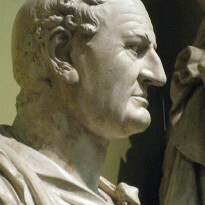 There, the demon who impregnates Merlin’s mother is of a similarly omniscient, omnipotent, omnipresent race born in the fires of Creation and similarly inimical to all biological life (the authors’ respective treatments of the subject are far different, however). The weakest part of the story was Raybould Marsh, particularly the thread about his wife and first child. The set up of his love for Liv, his wife, and Agnes, their baby , who’s deliberately targeted by Gretel to die, felt too staged and stereotypical to come across as authentic. Aside from that, this book gets a very strong recommendation. I’m looking forward to its sequel, The Coldest War, due out next year (2012), with almost as much anticipation as I did with Erikson’s Malazan novels. NOTE: I almost forgot to mention that Tor.com is hosting the short story "What Doctor Gottlieb Saw", which recounts an incident at Dr. von Westarp's establishment prior to the events in Bitter Seeds. I read it before tackling the novel because I wanted to get a taste of Tregillis' style.